This is the first book in a trilogy (of course) called The First Law (which sounds unhappily like the name of a Terry Goodkind book). 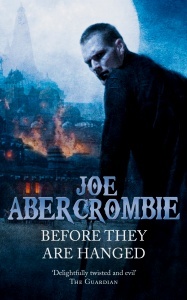 Joe Abercrombie is one of those new, younger authors that people seem to make much of these days, and who often aren’t particularly good writers, so I approached this book with a little trepidation. 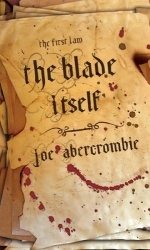 In fact, The Blade Itself turned out to be a very solid book. It’s an unpretentious fantasy set in a low magic world, with the action divided between cold rugged northlands, a sophisticated central realm that seems based on late Medieval or early modern Europe, and a southern desert land. The three main characters are an crippled torturer who work for the Inquisition, Glokta Sand, a spoilt young nobleman and soldier, Jezal dan Luthar, and a world-weary barbarian, Logen Ninefingers. The adventure is perfectly readable, and the characters are mostly likeable. Well, Glokta is supposed to be a nasty piece of work – and that comes across convincingly most of the time, but towards the end, he becomes annoyingly petulant and psychotic – against his own principles. Jezal is also a flawed character (intentionally) and he also becomes less likeable towards the end, for similar reasons. One subplot involves Jezal falling in love with his friend’s sister – and this was handled badly by the author, incorporating a couple of huge, embarrassing clichés (like the usually sharp and charming Jezal turning into a mumbling idiot when he meets her). Logen is the central and most likeable character – a rough diamond who is unsullied by the curse of civilisation – another bit of a cliché. The story in this first novel represents the gathering of a group of heroes to go on a quest – although this aspect takes a long while to fully come out, and, when it does, neither the reader nor most of the characters are much wiser about its purpose because it’s being organised by a wizard, and, of course, wizards don’t tell people their plans. The wizard in question is another central character, but not a viewpoint one, but he’s portrayed interestingly as a stocky, bald man who looks more like a blacksmith. 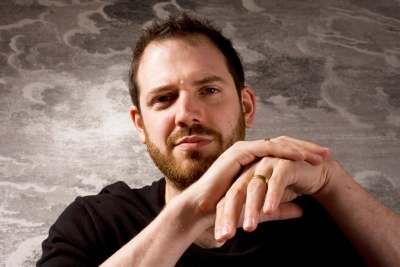 Joe Abercrombie has created a perfectly competent tale, but not an outstanding one. It’s a work of journeyman-like proficiency, but not one of arresting originality. The characters are mostly believable, the writing is solid, the world interesting enough, and I thought it was better than Scott Lynch’s The Lies of Locke Lamora and far superior to Patrick Rothfuss’s The Name of the Wind. I’d give the next book a go.